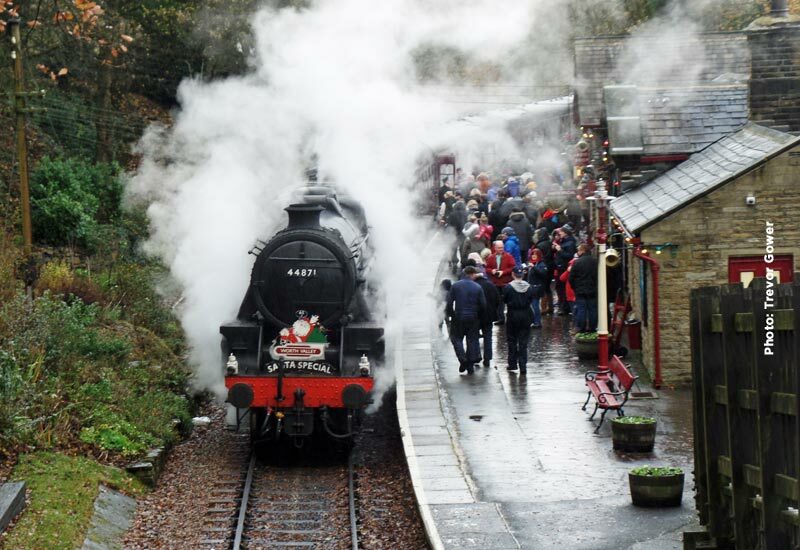 The first Santa Steam Specials ran at weekend in wonderful sunny, wintery conditions on Saturday but mixed weather on Sunday. Pre-booked Santa Steam Specials take centre stage once again this weekend but for visitors without a Santa Steam Special ticket wishing to travel along the Worth Valley a diesel railcar service operates throughout the day, starting at 09.00, giving passengers a new perspective through the forward facing windows on our diesel railcars. 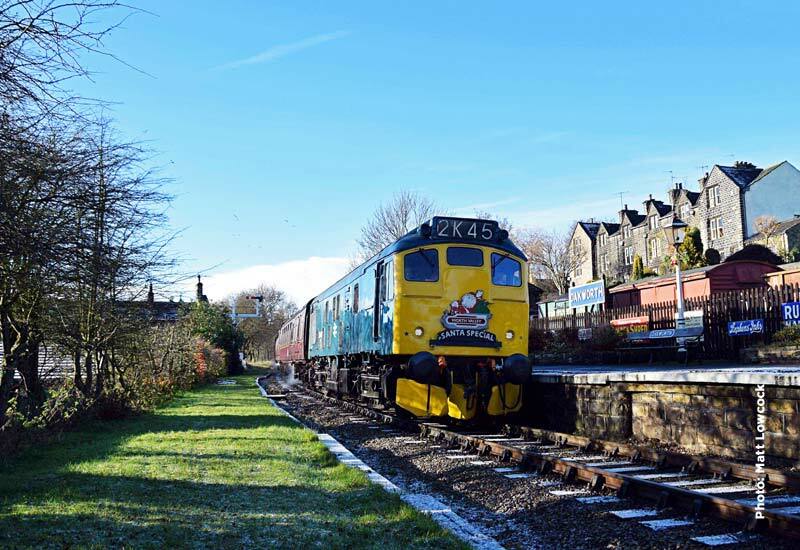 This weekend, once again, we will have a combination of locomotives with steam locomotives operating on the south, Oxenhope end of the train, assisted by one of our mainline diesel locomotives at the Keighley end. 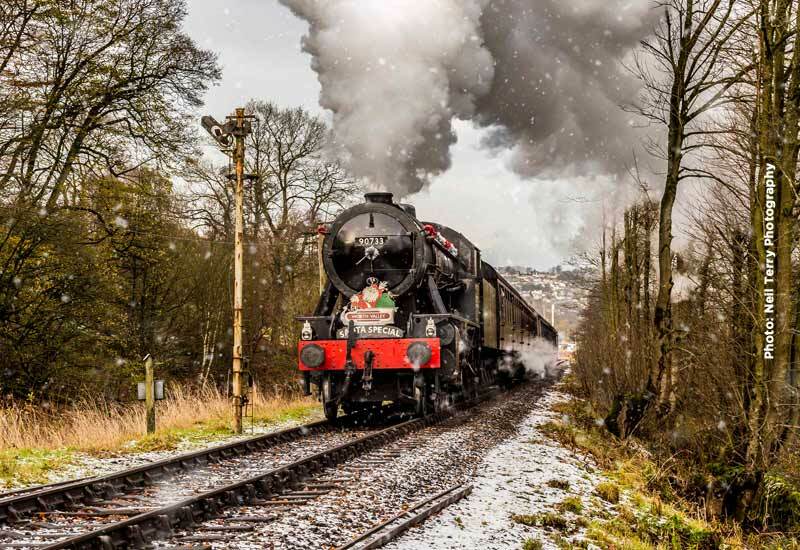 On Saturday steam motive power will be provided by LMS Class 5MT 4-6-0 44871 and on Sunday WD 2-8-0 90733 will have the honour of powering Santa up the Worth Valley. Diesel power will be in the capable hands of Class 25, 25 059 on both days. The diesel railcar service will be in the hands of the Class 101 diesel multiple unit. For the diesel railcar timetables in operation this weekend, please click HERE to visit the main website.